One of the best ways you can protect oneself is to stay alert. In order to ensure one's personal safety when walking alone, distractions such as cell phones and listening devices should be avoided. Always walk in groups and remain alert, especially at night or in unfamiliar settings. It is recommended that each individual develop a personal response plan in the event of an attack as you travel to on and off campus locations. Think ahead! Know where your Blue Light emergency phones are located. 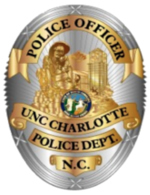 Program UNC Charlotte's and the local police emergency numbers into your cell phone for easy access.